* Distance is an approximation. Actual distances achieved can be longer or shorter depending on the type of fiber cable and accumulated optical losses in the fiber link. Determine link losses and perform optical budget calculations to ensure correct operation. Three versions are available. The singlemode fiber version will transport MADI over distances up to 10km*, and the Multimode versions up to 550m*. 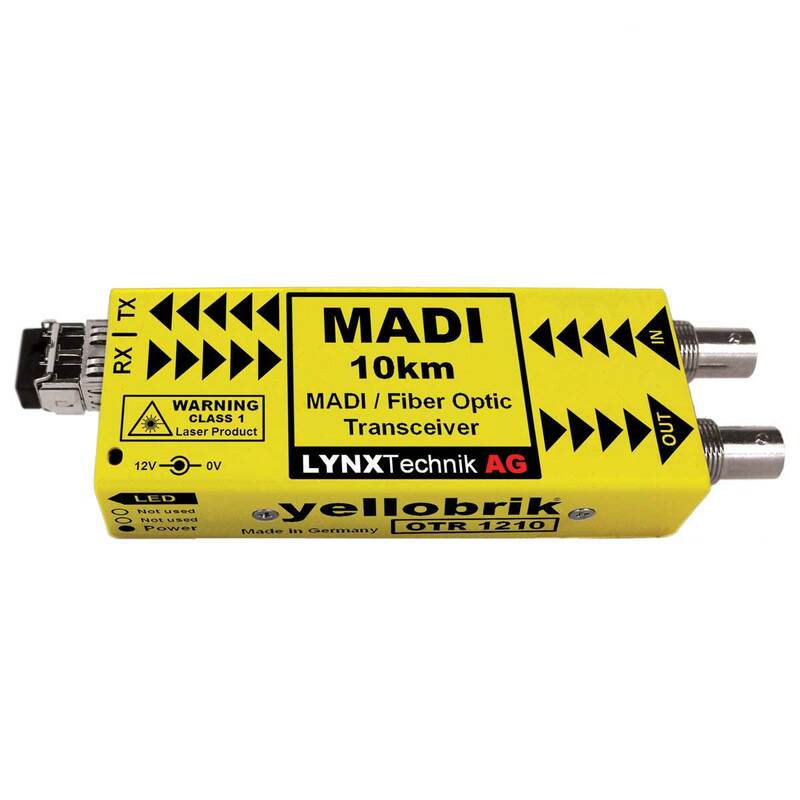 Note: For connectivity to third party MADI Multimode fiber equipment the 1310nm version should be used.